Frozen is in contention to reach a billion dollars at the global box office. The Disney film saw a 20% boost in overseas sales over the weekend, collecting $24 million from 45 territories in its tenth week outside of North America. 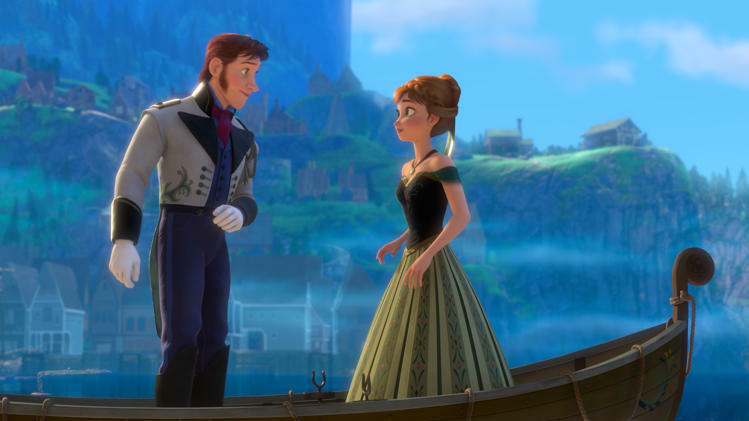 Frozen had seen a natural dip in form over the last three weekends, going from a $52.5 million tally in its sixth frame to a $20 million tally last weekend. The rise in sales lifts the animated film's overseas cume past the $500 million milestone to a $504 million total. Frozen posted the highest opening weekend of all time for an animated film in Sweden with a $2.2 million debut. It is the highest grossing animated film of all time in South Korea ($44.7M) and Denmark ($7M). Frozen is currently the eighth highest grossing animated release of all time overseas (based on original runs and not including re-releases) and second highest grossing original IP (non-sequel) animated release of all-time, behind only Finding Nemo. Top markets for Frozen include: the United Kingdom ($59.5M), Germany ($45.7M), France ($41.8M), Russia ($33.1M), Australia ($29.2M), Italy ($27M), Mexico ($25.1M), and Spain ($20.8M). The animated film will be released during China's New Year celebrations next weekend and in Japan on March 15. Frozen has grossed a total of $864.4 million worldwide. The Wolf of Wall Street became the highest grossing Martin Scorsese film in Germany and the United Kingdom after holding on to yet another #1 weekend finish in both markets. after holding on to the #1 spot Germany registered a $4.7 million hold from 623 dates for an 18-day cume of $20.1 million. The U.K. posted a $4.2 million hold from 502 dates for a 17-day total of $24.7 million. The Wolf of Wall Street finished as the #2 film on the market over its third weekend in Spain, falling short of surpassing the opening weekend of American Hustle with a $2.4 million hold from 280 dates. The Wolf of Wall Street has grossed a total of $11.4 million in Spain after 17 days in release. New releases for The Wolf of Wall Street include a $1.5 million bow from 115 screens in Japan and a $940k debut at 72 dates in Norway. VIY, a 3D Russian fantasty-adventure film, broke the opening weekend record for a domestic film with a $17.1 million debut after opening in Russia on Thursday. 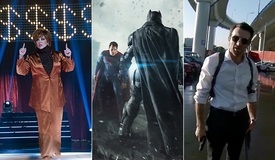 3D continues to thrive in the market as the film dominated the box office with an estimated 71% marketshare. VIY is the fourth biggest opener of all time in Russia behind Pirates of the Caribbean 4, Iron Man 3, and Twilight 4. 12 Years a Slave kept the top spot in France in its second weekend in the market with a $2.9 million take from 443 screens. The historical drama has also held well in the United Kingdom, where it earned an additional $2.4 million for a second place finish, and Germany, where it added $802k from 205 screens. Oscar buzz has helped the film attract audiences outside of North America. The drama opened in second place in Australia this weekend with a $1.3 million tally from 122 screens. 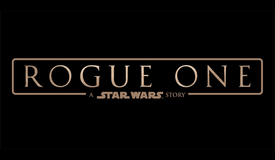 The film collected $9.7 million from 40 overseas markets to reach a $50.6 million cume outside of North America, nearly $5 million more than the film's domestic gross. 12 Years a Slave will reach the $100 million global mark by next weekend. The film has currently grossed a total of $96.4 million worldwide. Jack Ryan: Shadow Recruit hit the $100 million global mark this weekend. The spy film earned $9.1 million from 55 territories in a weekend that saw the thriller expand to 16 new markets. Jack Ryan took a $1.9 million debut from 394 screens in France, an $897k bow from 67 locations in Taiwan, a $725k opening from 306 sites in Spain, and a $349k premiere for 39 locales in Belgium. The spy film took a 45% dip in the United Kingdom to add $1.2 million from 460 locations to its $4.1 million cume. Australia added $485k from 232 sites to reach a $4.5 million total and China pulled in $300k from 2,800 screens to reach a $24.3 million cume. Jack Ryan: Shadow Recruit has grossed a total of $61.1 million overseas. 47 Ronin dethroned I, Frankenstein for the top spot at the Mexican box office with a $2.2 million bow from 575 screens. The action flick took a #3 debut in Germany with $1.9 million from 452 dates and finished its opening weekend in Brazil in second place with $1 million from 205 dates. 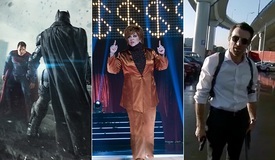 The new markets helped the film add $7.4 million to its overseas tally this weekend. 47 Ronin has grossed a total of $92 million overseas from 44 territories and will expand to seven additional territories over the next couple of months. 47 Ronin has grossed a total of $130.2 million worldwide. The Book Thief earned $4.1 million from 1,850 screens in 28 markets. The film took a surprising #1 opening in Brazil, defeating 47 Ronin in an opening weekend box office face-off with a $1.3 million bow. The Book Thief has grossed $23.6 million overseas. The Book Thief will expand to France, Switzerland, Hong Kong, and Singapore next weekend. Walking with Dinosaurs brought in $3 million from 2,286 screens in 21 markets. The animated film opened in first place in Venezuela with $794k. The film has grossed $84.2 million overseas. The Secret Life of Walter Mitty took a $2.1 million haul from 2,121 screens in 39 markets. The Ben Stiller film has earned a total of $117 million overseas as it prepares to expand to Japan and Venezuela in March. The Hobbit: The Desolation of Smaug reached the $600 million milestone overseas after adding $2.7 million from 1,714 screens across 50 territories. Top markets for Smaug include: Germany ($87M), the United Kingdom ($70M), France ($50.5M), Russia ($45M), Australia ($33.4M), Spain ($23.4M), and Sweden ($20.2M). Smaug is reporting an $854.2 million global cume. Paranormal Activity: The Marked Ones added $2.3 million from 45 territories after opening in five new territories this weekend. 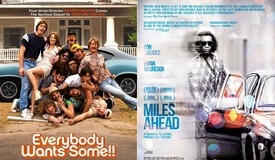 Italy opened to $337k from 170 screens and New Zealand enjoyed a $122k debut from 45 locations. The Marked Ones also opened in the Philippines, where it grossed $111k from 80 locations. The horror film has now collected $53.9 million overseas and $86.1 million worldwide. Lone Survivor battled opened in fourth place in the United Kingdom with a $1.3 million bow from 389 dates. Devil's Due took a $1.1 million opening from 675 screens in Mexico and added a total of $3 million from 2,196 screens in 20 markets to its overseas tally. The horror film has now grossed $9.5 million overseas and $24.2 million worldwide. Anchorman 2 fell below the million dollar mark overseas this weekend, as the film added $967k from 760 locations in 8 territories. Anchorman 2 has grossed a total of $43.4 million overseas and $167.8 million worldwide. Despicable Me 2 is finishing out its overseas run. The animated film added $450k from 600 dates in its two remaining territories, raising its cume outside of North America to $602 million. Despicable Me 2 is only the fourth film to have crossed the $600 million mark overseas, a figure it was able to reach after adding $48.5 million from 24 days in China. Despicable Me 2 is the fourth highest grossing animated film overseas, behind Ice Age: Continental Drift ($718.3M), Ice Age: Dawn of the Dinosaurs ($690.1M), and Toy Story 3 ($648.2M). 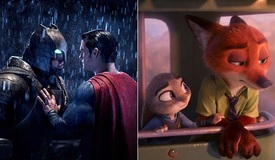 It ranks #3 in terms of all time global box office for an animated film with a $970 million worldwide cume, behind Toy Story 3 ($1.1B), and The Lion King ($987.8M). Saving Mr. Banks improved to a $17.9 million overseas cume. The Disney-approved biopic will reach the $100 million global mark in the coming days after finishing the weekend with a $98.9 million worldwide cume.